Walking with Jesus: Day 47: Matthew 20:20-34 & Psalm 48: What Does it Mean to be Great in God's Kingdom? Day 47: Matthew 20:20-34 & Psalm 48: What Does it Mean to be Great in God's Kingdom? What Does it Mean to be Great in God's Kingdom? Moms have always had high hopes for their children. They generally tend to have a high view of their children's gifts and abilities, and they think the world should see how wonderful they already know their children to be. James and John had a mom who thought her two boys should be at the right-hand and left-hand of Jesus in His kingdom. Jesus did not rebuke this mom but instead turned his attention to the boys themselves. He asked them a single "job interview" question: "Are you able to drink the cup I am to drink?" James and John had no idea what Jesus was saying. They had no clue what the cup of suffering was that Jesus had to drink. But they answered anyway: "We are able." Greatness and ambition are celebrated in our culture and those who push themselves ahead and rise to the top are praised and rewarded. But Jesus' kingdom is not like our modern American culture. He doesn't value ambitious, pushy, proud self-promoters. Now here's the sad and sobering reality: The church has known Jesus' perspective for 2,000 years, but we are still so prone to doing church according to the world's standards and not according to Jesus' own definition of greatness. Jesus could not have been more clear: "It shall not be so among you. But whoever would be great among you must be your servant, and whoever would be first among you must be your slave, even as the Son of Man came not to be served but to serve, and to give his life as a ransom for many." Yet our culture of celebrity pastors and mega-church super-stardom and highly paid conference speakers and theologically hollow, self-promoting best-selling books all shout of a church culture shaped more by the world than by the teachings of Jesus. Jesus didn't just tell His disciples what greatness looks like. He also showed them. Right after teaching them the definition of greatness in His kingdom, Jesus stopped, took pity on two blind men, touched them and healed them. This was the pattern for so much of Jesus' life: He was willing to stop what He was doing, to have compassion on others, to reach out and touch them, and to heal them. This is not the pattern of an ambitious self-promoter, but is the pattern of One who came to give His life as a ransom for many. So, whose pattern will we follow? in Your church, the city of our God! You have made Yourself known as a fortress. where Your Son reigns over Your people. in the midst of Your living temple, Your gathered people, worshiping You. 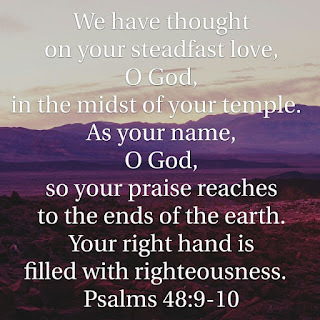 Your right hand, Jesus, is filled with righteousness, which You give to Your people. You will guide us forever. 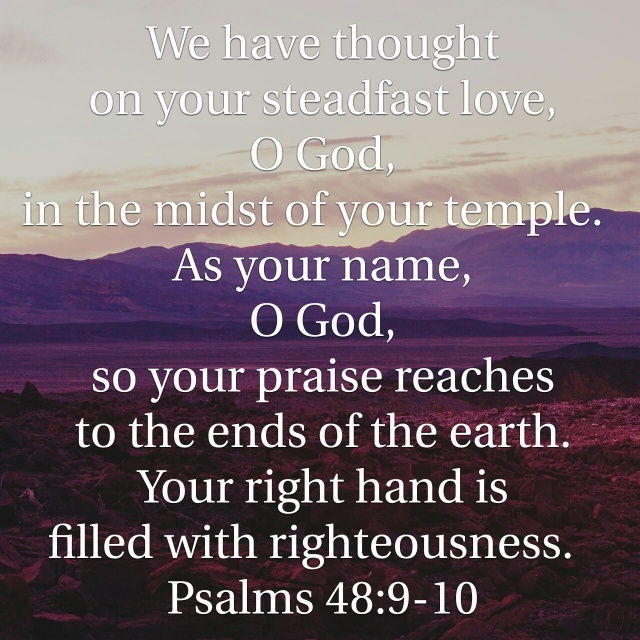 Through Jesus our Savior and to the praise of His name, we pray, Amen.